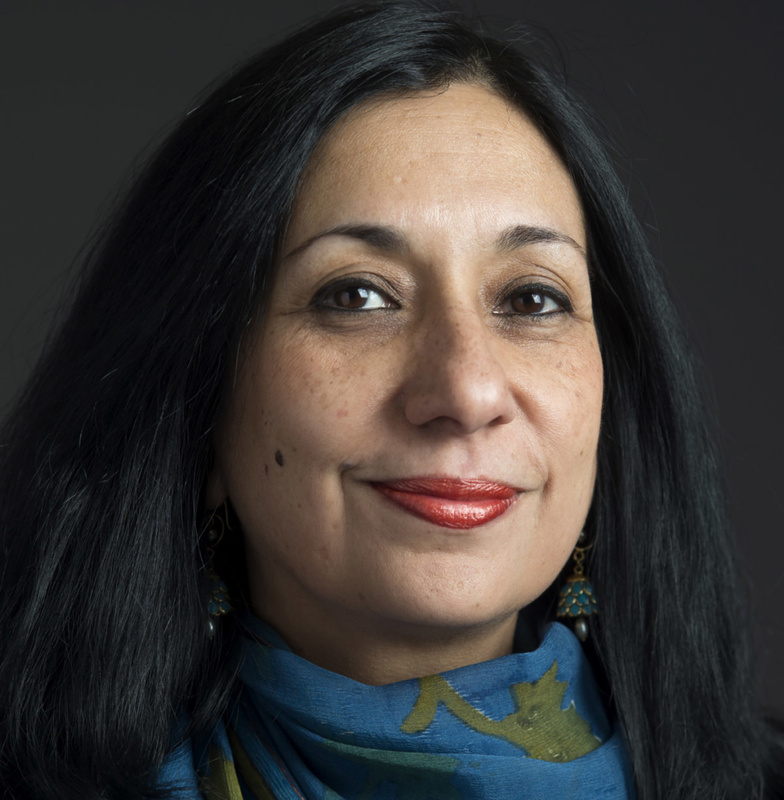 After less than four years, Meenakshi Srinivasan announced yesterday that she is leaving her post as chair of the Landmarks Preservation Commission (LPC), the city agency that stewards New York City’s historic built environment. During her time at the agency, the LPC designated 3,800 buildings, a total that includes 67 individual landmarks, nine historic districts, and three interior landmarks. On June 1, Srinivasan is trading government work for a job in the private sector after an almost three decade career in public service. Before she joined the LPC in 2014, Srinivasan chaired the Board of Standards and Appeals (BSA) for ten years, and prior to that, she worked in the Department of City Planning (DCP). The Architect’s Newspaper (AN) sat down with the outgoing chair to talk about her tenure, her next steps, and the (sometimes controversial) decisions she presided over. AN: Why are you leaving the LPC? Meenakshi Srinivasan: I’ve been very fortunate to have been at three land use agencies and also very fortunate to have chaired two commissions, the Board of Standards and Appeals as well as Landmarks. It’s been incredible, but it’s been 28 years. It really seems like the right time to move to the private sector and use my skills elsewhere. I feel emotional about the fact that I’m leaving government, but I think we’ve achieved a lot in the last four years. What have you accomplished as Chair? There are three areas I’m very proud of. I’m very, very proud of our designation agenda. I’m proud of our transparency initiatives, and I’m proud of our ability to reorganize the agency to be much more efficient and [move] the agency forward through the lens of equity and diversity, transparency and efficiency. Within that agenda, our strategic plan has been faithful. It has been to be more efficient within the designation process, [particularly with regards] to the backlog. * The second thing is just for me as a planner, personally, is to really allow preservation to be a critical part of the planning process. And the third is, we want to continue to look at areas that are not represented by designations, but there are stories to tell that really speak to histories of all New Yorkers. The agency has this wealth of knowledge and scholarship that people should have access to, and we have all this information about our regulatory process and that should be transparent and accessible, too. The first thing we did is we put all the information that comes before the commission on our website. In the last four years, we have put all our designation reports on our website so people can access them. We’ve created this interactive map, which includes all our designations and has the ability to connect and links to designation reports. Most recently, we’ve created a very, very robust database which provides data on each individual building that has been designated. We created a database that allows people to access information on staff level approvals as well, so you can find out the status of your project. This kind of information is very important to community groups who want to know what’s happening, what these buildings are about, but also to homeowners and property owners, so they can understand the basis for designations. Where are you landing next? I’m doing some work with New York Law School in their Center for New York City Law and working with the dean and founder of the center to develop curricula, and I’ll continue from there. Do you know who’s going to replace you at Landmarks? The vice chair position is vacant. I don’t, but I’ve been working with this administration and internally on the transition. I’m here for another five weeks. How would you assess the state of historic preservation in the city right now versus four years ago when you became Chair? You know, historic preservation is very critical for New York. I think it’s what makes the city diverse, dynamic, so I think that will continue. I think there’s always an issue of balance. The city should grow as well and we continue to survey areas that should be designated and should be protected. I think the other thing is that when we think about landmarking, it doesn’t really mean that nothing can change. I think the Commission, historically, has allowed for change within historic districts, and our role is really to ensure that those changes are consistent and compatible with the prevailing historic character. I think that will continue. One of your initiatives you alluded to earlier was a push for historic districts outside of Manhattan. How is that going? How will that initiative be continued under the next Chair? We have done some pretty significant historic districts outside of Manhattan, but I just would say that it’s not only outside Manhattan, it’s also areas that may not be as well-represented in Manhattan. We did a really interesting one in Ridgewood, Queens and a portion of Brooklyn, which is really a working class neighborhood that actually has a very strong architectural character to it and very uniform. We did Crown Heights North, I think it’s the third extension as well as the Bedford Historic District, which [overlaps with] one of the largest African American community in the nation. More recently, we did Mount Morris Park Historic District [Extension] in Harlem, and currently we are looking at Central Harlem Historic District, which is between 130th and 132nd Street—a microcosm of the Harlem Renaissance in the early part of the 20th century, that also includes the civil rights activities there. Even without me, I think we’ve got various things in the works that will be continued. The Commission often hears from passionate stakeholders on all sides. In March, Human-scale NYC, a coalition of preservation and neighborhood groups, wrote a letter that called for your replacement and claimed that you “serve the interests of big real estate.” How would you respond to those who believe the LPC placed real estate interests ahead of historic preservation during your tenure as Chair? I think there’s no truth in it at all. People have opinions—they may not like everything that I do, but I stand by all the decisions we’ve made. I think my agency has been very thorough and so has the Commission; I don’t see any radical shifts in the way we have regulated our historic districts. The Commission has always been open to modern buildings and contemporary buildings in historic districts. That hasn’t changed. If you actually go back and look at the projects that we’ve done, you’ll see that the scale of these buildings are very much consistent with the surrounding context and there’s a lot of rigor in how we evaluate these decisions. I would say that a group may come up and identify a whole series of reasons why I’m unpopular, but I think if you go beyond that and see for yourself, there’s nothing really there. Many people were upset, for example, at the way the changes to the Sasaki plaza at Citicorp were regulated, and about the approval of the demolition permits for the AT&T Building lobby, and the designation of the Ambassador Grill and Lounge that excluded a sunken lounge and connecting hallway. I know preservationists have made their concerns about these and other issues known to the LPC loud and clear. How would you respond to those who say there needs to be more transparency around changes to major buildings? Right, well I think that it’s interesting. There is transparency. The reality is that we do receive requests to designate buildings. Our research team evaluates them. We then bring them to the Commission. The basis of why we think they should be designated or what areas we’re considering is explained. We have standards and we want to apply them consistently. In the end, the reality is we did do Ambassador Grill. For AT&T, we calendared the building, so the issue over there was really about the lobby. That was discussed and there were reasons why the lobby was not considered meritorious. I just want to go back to one thing because you raised this issue about this letter. People can try and dovetail these things together, but I’ll just be very upfront with you. I’ve been thinking about [leaving] for some time, probably the end of December, early January. As a public figure, people will say things and [they] may disagree with you. I’ve been a public figure for 14 years. I don’t know if those things necessarily would make me back down, just in case you’re thinking that there could be something like that, but I’ve been doing this for 28 years and I think we’ve done great things here, but there are other things to do. In a different letter, leading preservation groups that the LPC consulted with on its proposed rules changes recently wrote a letter to you asking for those changes to be withdrawn. How will preservationists’ concerns be addressed as discussion around the proposed changes continues? We allowed the comment period to go on until May 8, but the outreach process that we’ve done many times before involves us summarizing these comments and bringing [them] before the Commission. The staff does that. Since the [March] hearing, we’ve continued to do outreach and explain to people why we believe the rules are beneficial and why they’re beneficial for preservation. What are you most proud of in your work here? One of the things that I’m very proud of is that we’ve put more emphasis on cultural landmarks. That’s been very important to me, because it has given us the ability to talk about more abstract things that are not necessarily related just to buildings, but are really important to the history of New York. The Stonewall Inn, for example, is a very modest building, but it propelled the LGBT movement. The Stonewall Inn is indicative of New York’s progressive values of tolerance and inclusivity. That means a lot to me. When we think about cultural history, we did two buildings on Broadway which are cast iron buildings. You see these in Noho and you see them in Soho, but what made them unique is that it had this amazing [tie to] the abstract expressionist Willem de Kooning. And more recently, the historic district that we’re bringing forward in May in Central Harlem speaks to the Harlem Renaissance, but also about civil rights and social justice. And finally, Coney Island, which has changed over time, but it [remains] one of the most recognizable places in New York. I mean, everybody goes there. Cultural landmarks have always been a complicated issue, but I think we’ve been very—I wouldn’t say aggressive, but—I think we really wanted to advance that as a part of how we think about preservation in New York. Do you plan to stay involved in preservation in any way? My thoughts are really to go back to planning and zoning. That’s what my background is, but when you think about cities in general, preservation is just part of it. I think I’ve just been lucky to have this preservation experience as well, because I think it rounds off something for me. At City Planning and at the BSA, we were dealing with preservation issues all the time. It’s just part and parcel of New York. Any advice you’d give to the next Chair? It’s a great place to be. Enjoy the experience. We have an incredible staff that you can rely on. Just be prepared because it’s definitely a field which, as you’ve pointed out, stakeholders are very passionate about. So, have your eyes and ears open to listen to all that, as well. *The LPC prioritized 26 properties out of 95 for designation that had languished on a list of potential landmarks for years, sometimes decades. This was completed over an 18-month period between 2015 and 2016.